The R.1 is an Auditorium class instrument executed with a contrast between flowing curves and defined angles. With a crisp bass and clarity across the registers, the R.1 is designed with the modern player in mind, and is an ideal choice for a wide range of playing styles. 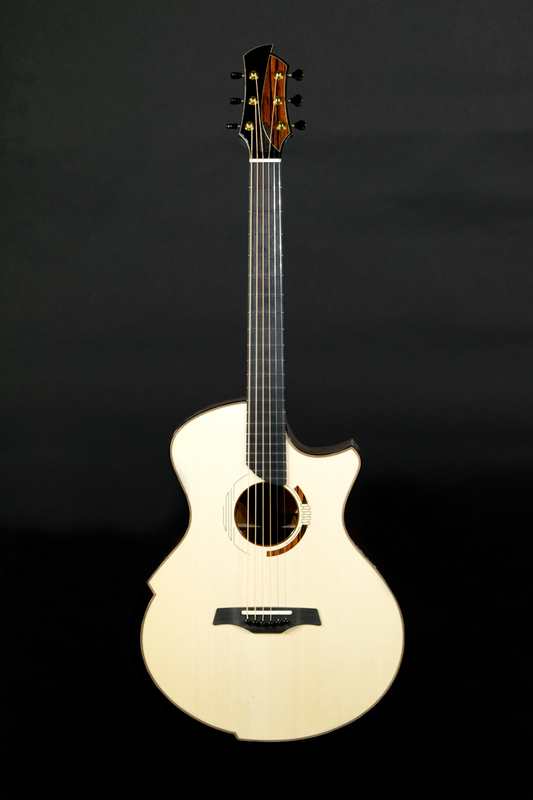 Here the playability of a smaller guitar is combined with the projection of a larger instrument in a dynamic package at home both on stage and in the studio. The R.1 is equal parts playability and power.